On the second day of racing Alinghi opened with another win, their fifth, but then had to give way to Team Oman Air who took the next three races, and to SAP Extreme Sailing Team who won the final three races. This did not change the podium places on the leaderboard, but did close the poionts positions, with Alinghi now just five points clear of the Omani crew, and eight ahead of SAP. 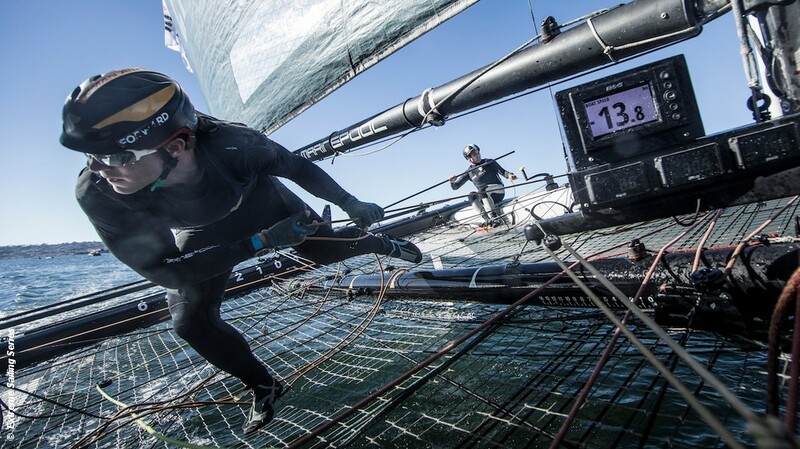 INEOS Rebels UK drop back to fifth place behind the Red Bull Sailing Team.